Real proper house music from the legendary Allen Jovonn Armstrong. Originally released in 1995 on New York City's Kult Records, "Satisfied" is a true classic from the underground for those who know. We're loving the standout Moodyfied mix: a stripped down, moody back room dub that begs to be played in a dark basement, while on the flip it's all about the soulful and emotive swing of "I'm Waiting". The rather pumping "After Life" which perfectly captures the zeitgeist of the early '90s sound coming out of The Big Apple is rather good too. Massive all star cast here for another Royal Oak release. 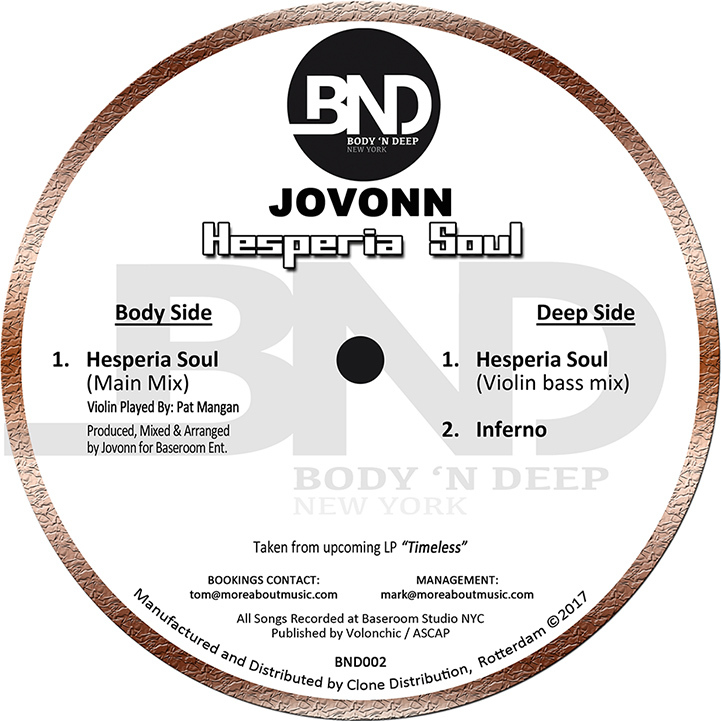 Brooklyn / NY titan Jovonn gets remixed by long running German talent Ian Pooley, Detroit stalwart Mike Huckaby and French DJ / producer / record label head - DJ Deep. "Be Free" is equally deep, a shuffled house beat keeping us completely locked in while fluttering Rhodes and a full vocal give the track its song like structure. "Show U Love" is my personal favourite, DJ Deep taking plenty of elements from the OG but makin' em squeal and bounce a bit more manically, transforming it from a smooth gliding deep house into a more elbow-out, chunky number that'll stimulate 2k18's fervent yoot much more than the original.